Alpinestars have launched their first item of heated clothing just in time for our lovely winter. The Tech Heated Vest offers riders excellent body temperature management, using custom flat panel heating elements. The Vest is designed for comfort and ease of use to meet the most demanding of riding conditions. • Flat panel polymer heat panels in the chest, upper shoulder/neck and lower back, are strategically placed a to aid temperature management, giving the most even spread of heat over the largest area. • Insulated Lycra outer shell with a fleece lining allows heat to pass evenly from the elements and insulate the body. • Self regulating panels remain at a constant temperature to prevent overheating. • Vest takes 55W powered directly from motorcycle battery by a connection cord from battery to an adapter interface on the jacket using an integrated loom. • Can be used in conjunction with Alpinestars Tech Vest Electronic Temperature Regulator (ETR), available separately. 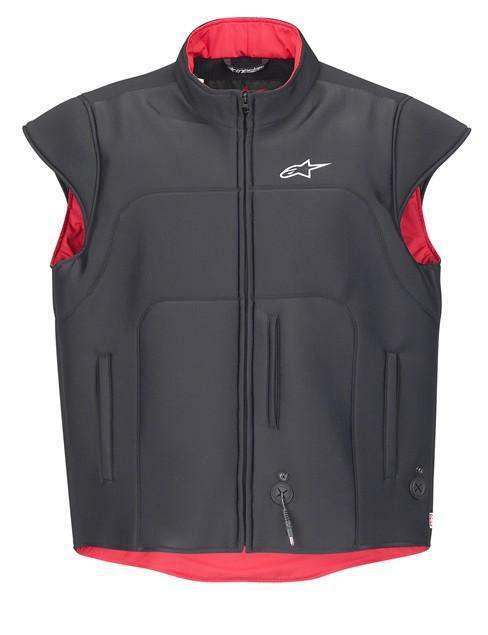 Using the ETR with the Tech Heated Vest allows the rider to select from four different heat settings to give a wider range of climate control. 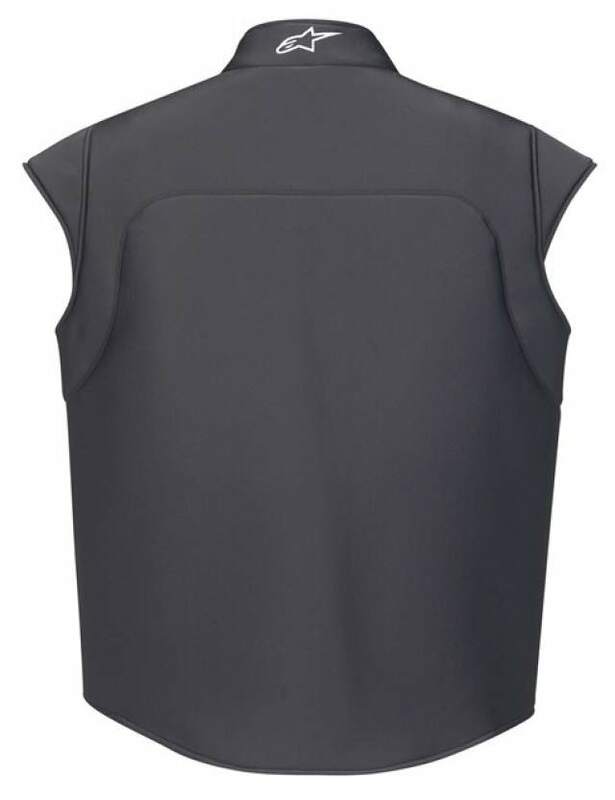 • The Tech Vest ETR is an electronic controller that allows precise temperature adjustment of the Tech Heated Vest. 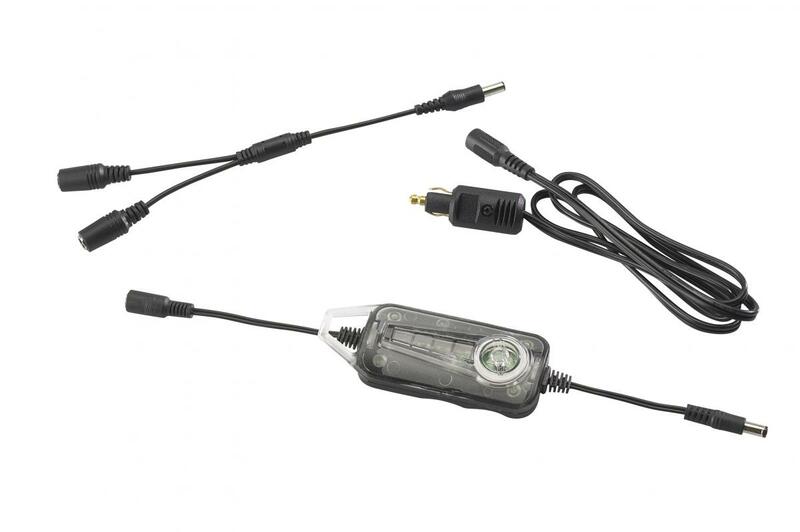 • Compact, waterproof design with one button operation illuminated for night use. • Colored LED display allows easy temperature verification. 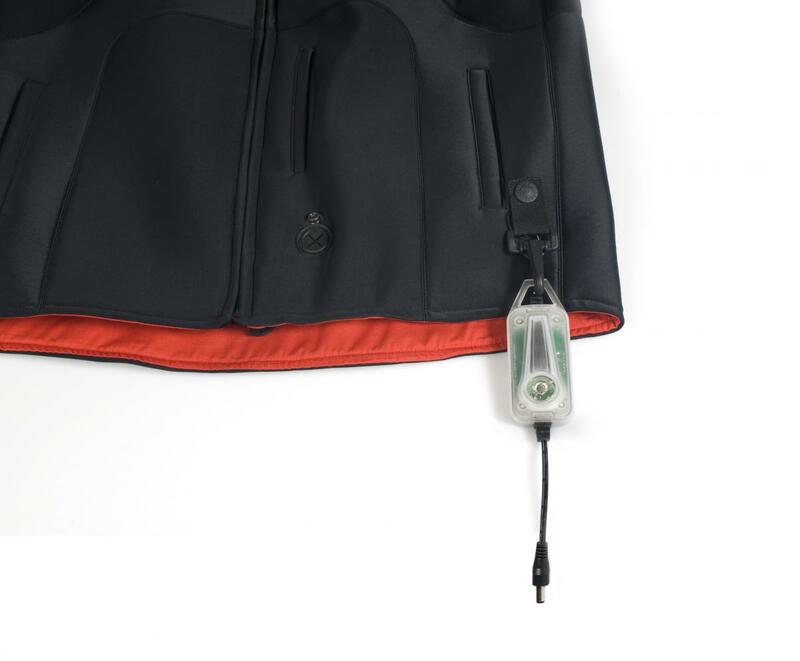 • Built in clip works with Tech Vest WIO system to allow correct positioning and easy access under short or long jackets. 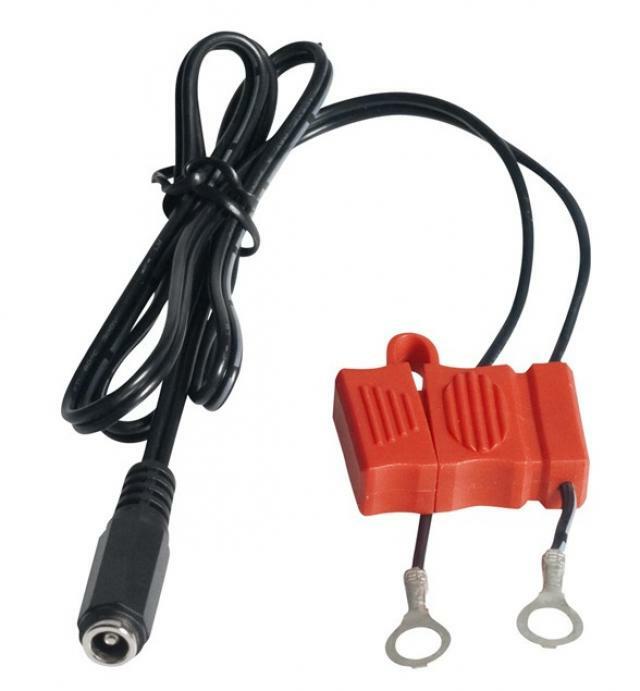 • Tech Heated Vest cord with attachment plug to fit BMW Accessory socket. • Y Cable allows two Tech Heated Vests to attach to the battery power source at the same time.